Just 16 minutes on the train from London and a 30-minute drive from Gatwick, this charming hotel is perfectly situated for both visitors looking to see London's attractions and those wishing for a refreshing break from the city. 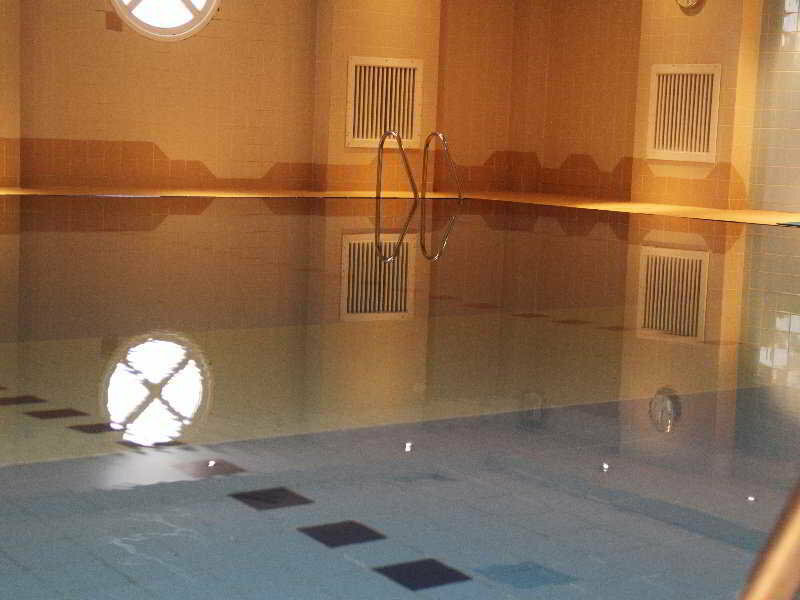 Guests can explore the Tower of London and Buckingham Palace, or visit Epsom racecourse. Visitors may stay in the hotel's bright, modern guest rooms with floor-to-ceiling windows, or upgrade to a Junior Suite for more space and their own dining table. Corporate travellers can hold seminars or conferences in the hotel's 15 meeting rooms for 3-300 guests, all with WIFI access, or keep up with work in the fully equipped Business Centre, complete with photocopying and printing services. Leisure travellers may also take a break in the hotel's fitness centre and savour fine British cuisine in the on-site bar and restaurant. 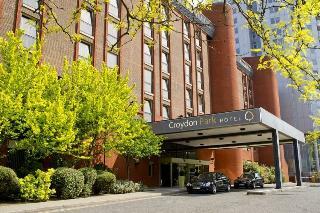 This lovely aparthotel is situated in Croydon. This property offers a total of 18 guests rooms. Travellers may take advantage of the Wi-Fi connection throughout. The reception is open 24/7. Cots are not available at OYO 121 Flexistay Tulsi Aparthotel. No pets are allowed on the premises. 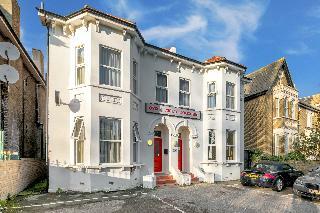 This lovely aparthotel is located in Chislehurst. 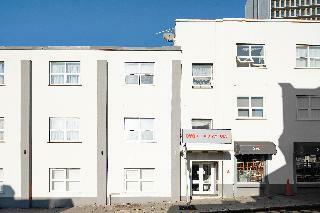 A total of 20 bedrooms are available for guests' convenience at OYO 116 Flexistay Addiscombe Aparthotel. Wi-Fi internet connection is available on public areas. The reception desk is open all day long. Pets are not allowed at OYO 116 Flexistay Addiscombe Aparthotel. 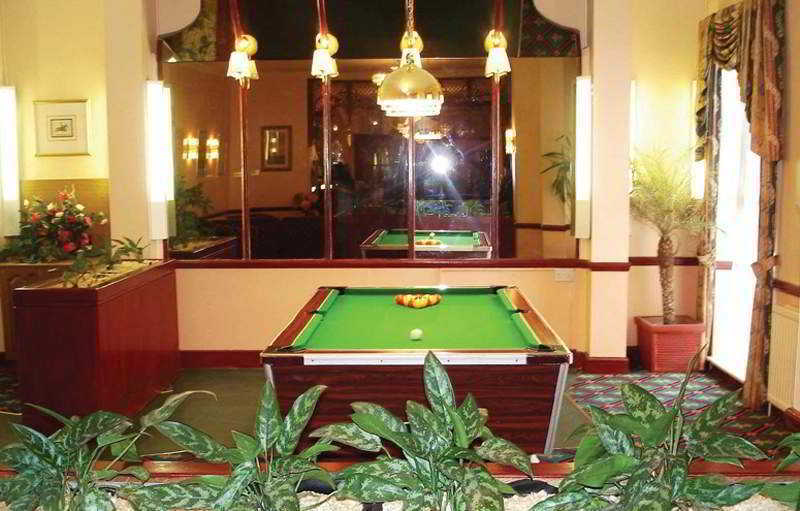 Directly opposite the Whitgift shopping centre, in East Croydon, this hotel is on the edge of the urban jungle, with a fantastic choice of parks, gardens and unspoiled forests in the vicinity, yet with direct rail connections to central London. 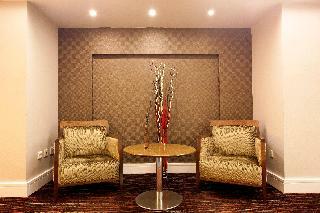 With stylish modern interiors this hotel gives guests a sense of comfort, class and sophistication. 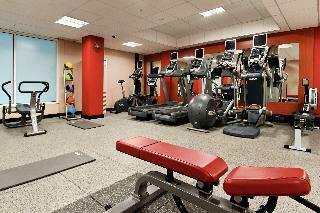 Amenities include bar, cafe, Wi-Fi throughout the hotel, fitness centre and a swimming pool. 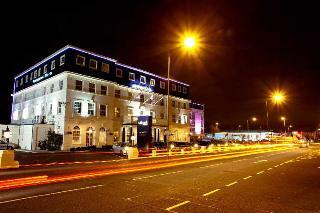 The Hotel is located on the A23, close to Croydon town centre and 12 miles from the centre of London. Croydon has an excellent shopping complex and a lively nightlife, with a wide choice of restaurants, pubs and clubs for all ages. The centre of London is only 15 minutes away by train from East Croydon station for those wishing to take in the West End shows or all the other visitor attractions of our capital city. The former Aerodrome hotel has completed its extensive refurbishment and has emerged with the contemporary style now synonymous with Hallmark Hotels. The hotel has a well-loved heritage in Surrey, being originally built in 1928 to serve the airport. It has a stunning new lobby, stylish lounge bar and Brasserie as well as fully equipped meeting and conference facilities. All rooms come en suite and fully – equipped as standard. Located steps away from the shops and restaurants on Croydon High Street this hotel is a comfortable home away from home. There are speedy train connections to the heart of the capital a few minutes away. This city accommodation features the latest contemporary design and technology and facilities on offer include a 24-hour reception, bar, breakfast room, hotel safe, lift access, a business centre and laundry services. It also hosts a dedicated meeting/conference centre situated on the 10th floor, with 8 meeting rooms, all with panoramic views over Croydon. The hotel is located on the main road, opposite the Mayday University Hospital some 14 km from the centre of London, which may be reached by train in just 15 minutes. East and West Croydon stations are within a short distance of the hotel and the M25 (junction 7) and the M23 (junction 8) are 13 km away. 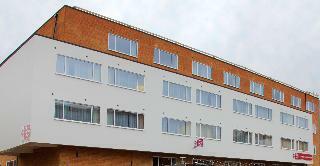 London City Airport is 16 km from the hotel and it is some 30 km to Gatwick airport.This hotel comprises a 3-storey main building as well as a 4-floor annexe block, which offer a total of 105 rooms. Facilities include a lobby with a 24-hour reception desk, a café and a bar as well as a breakfast room and a conference room. There is also free car parking for those arriving by car.Each of the wheelchair-accessible rooms comes with an en suite bathroom with a hairdryer, a TV, tea and coffee making facilities, ironing equipment and a double bed. Central heating features as standard in the carpeted rooms.From London Gatwick airport: depart on Perimeter Road East. Bear left. Turn right. Turn left onto Perimeter Road North. Turn right onto Gatwick Way. At the roundabout, take the fourth exit onto Airport Way. At the roundabout, take the first exit onto M23. At the roundabout, take the first exit onto Slip Road (M23 J9). Continue onto the M23. Exit onto Slip Road (M23 J7). Continue onto London Road North. Continue onto the A23. At the roundabout, take the first exit onto Brighton Road. Continue onto the A23. Take a sharp right onto Foxley Lane. Turn left onto Purley Way. At the roundabout, take the second exit onto Thornton Road. At the roundabout, take the fifth exit onto London Road. Our décor will transport you back in time, to that nostalgic era of innovation when early 20th Century Croydon was an important industrial area. The area is still a hub for transport links to this day, putting you within touching distance of London’s highlights and bright lights. This newly built hotel boasts comfortable bedrooms with modern amenities including air-conditioning, kitchenette, on-site parking and an ala carte restaurant. B&B is continental breakfast only, supplement for cooked breakfast. Credit card pre-authorization at check-in. Late check-out 10 GBP per hour. Proof of identification required on arrival. Restaurant closed on Sundays.